There are three main types of service provider. While most aspects of service management apply equally to all types of service provider, other aspects such as customers, contracts, competition, market spaces, revenue and strategy take on different meanings depending on the speciﬁc type. 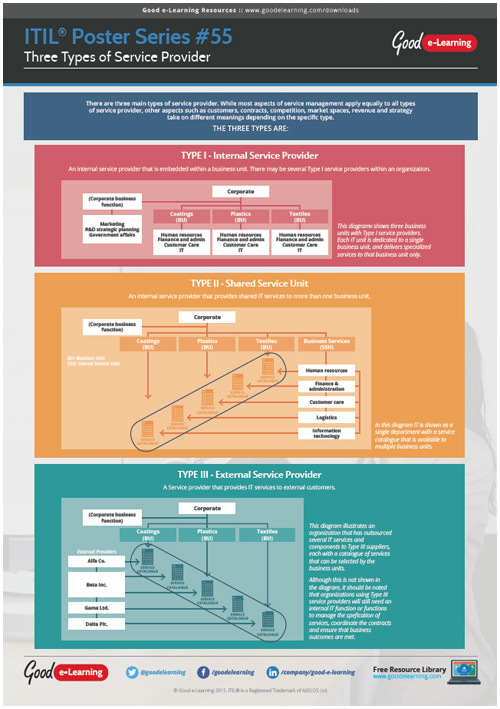 In this poster, we will explore the three different types of service provider: Internal Service Provider, Shared Services Unit, External Service Provider.